New photos from the area around Arica and Putre have been uploaded in different sections of the Atacama Gallery. There are photos of the taruca, a native andean deer, nandu, vicunas, viscachas. Very interesting plants have been photographed in the altiplano, including tillandsia, a bromeliad. Ecuador has an amazing variety of nature to offer. New photos are now online. One gallery shows the Cuyabeno Reserve, a large protected area of tropical rain fores in the Amazon basin. The cloud forest west of Quito is a very different habitat with its steep mountain sides. It surprises with its many species of humming birds. During most of the day the mountain tops are covered with clouds. 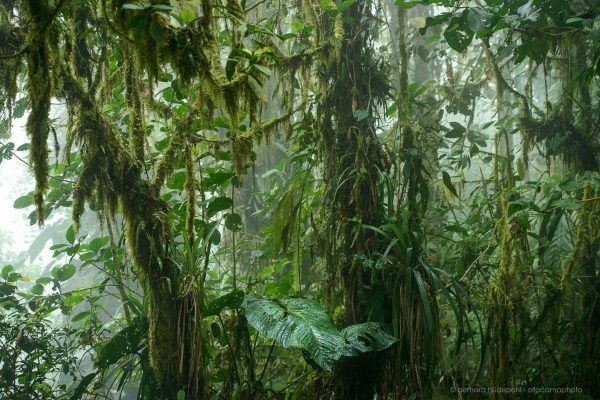 The trees are heavily overgrown with epiphytes like bromeliads, orchids and mosses. 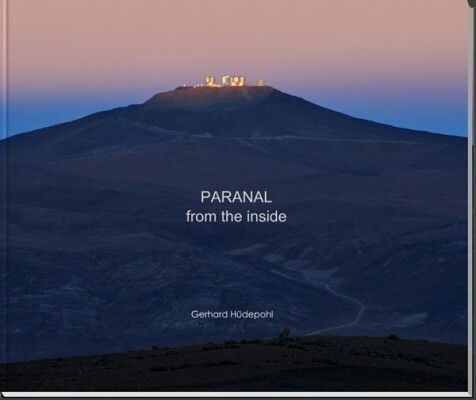 This new book “Paranal from the inside” shows a selection of the best photos of the Paranal Observatory taken by the author during 17 years. With more than 120 photos the reader gets a real inside view of the ESO Very Large Telescope Observatory at Cerro Paranal in Chile, which is home to several of the largest and most advanced telescopes in the world. It shows high-tech science machines, people at work, the desert landscape of the site, rare and exceptional weather conditions, flora and fauna, the construction phase, aerial photos and more. Many of the photos have never been published before. The photo below shows something very unusual: a glacier that is advancing. It can be clearly seen, that it is smashing and flattening all small trees that are in his path. This amazing sight is very rare in the times of global warming where most glaciers are receeding. There are more photos of the fjords, forests and glaciers of Southern Patagonia in the gallery. The photo was taken in the Pia Fjord in Tierra del Fuego of Chile. New photos of my recent trip to the amazing South Georgia Island have been added. 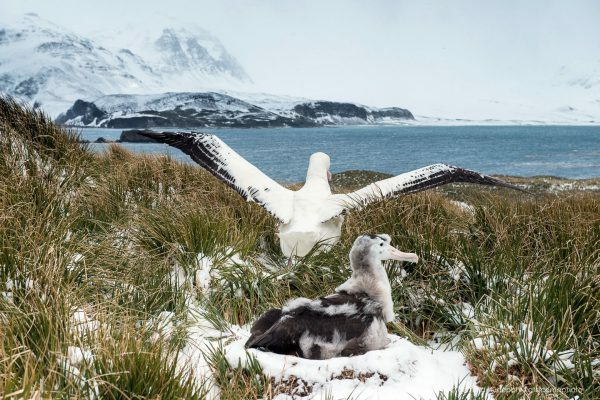 South Georgia is a remote island in the southern ocean that has one of the highest wildlife concentration on earth. Hundred thousands of king penguins, elephant seals, giant wandering albatross and other animals are almost the only inhabitants of this amazing place.